Cortez Resources is a private oil and gas exploration and production company focused on prospect generation and leasehold, mineral, and royalty acquisitions. Our assets span over 700,000 gross acres across the United States, under multiple active basins, and we currently have interests in over a thousand wells. 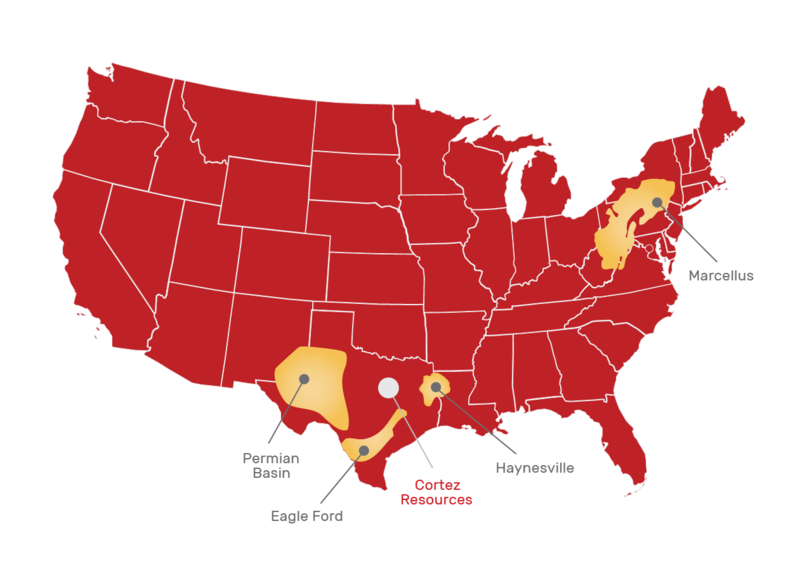 We are always looking to grow our portfolio and are currently targeting assets in the Permian basin and Gulf Coast region, as well as other unconventional plays in the lower 48 United States.